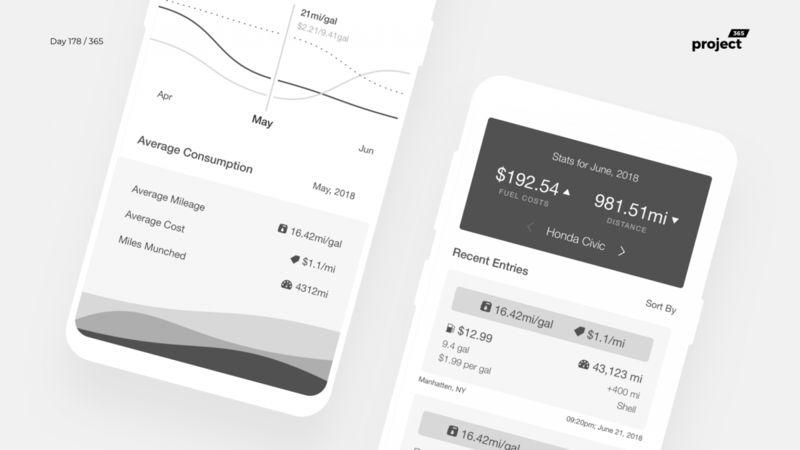 Brief: To design wireframes for a Fuel Economy Tracker app. 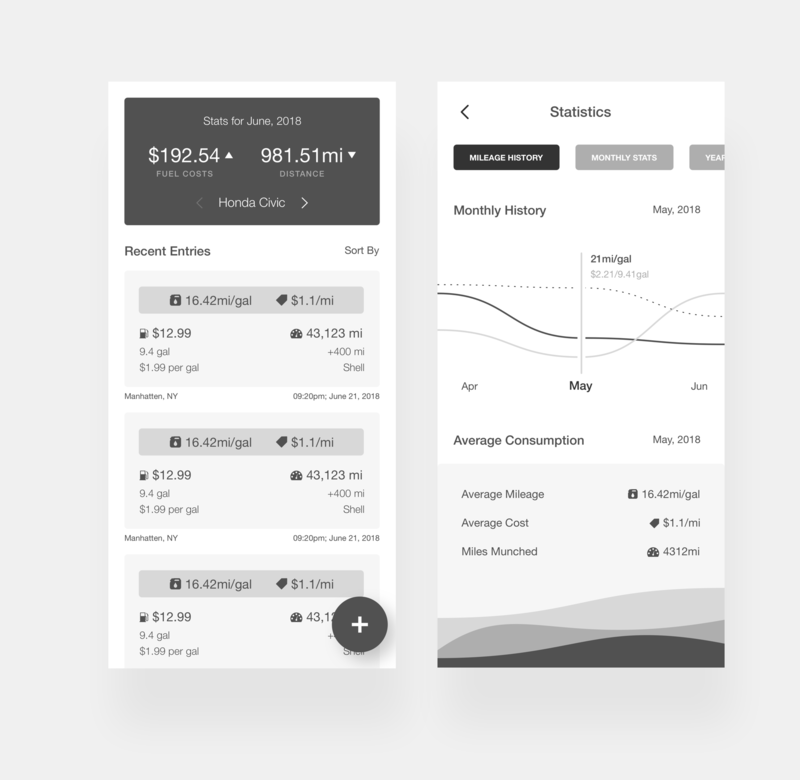 A Fuel economy tracker app for your cars and motorbikes. Add data from your commute and obtain comparisons, historical data, and suggestions for better efficiency!